Blur and Suede made fans go giddy with excitement when they announced headline shows for 2015, and as we've missed their UK gigs, we decided to round-up the best of the Britpop acts you can still catch on tour this year. Making a ‘Slight Return’ to the stage after a four-year hiatus, these indie rockers will embark on their 20th Anniversary Jukebox Tour this September. These indie rockers have had a fairly traumatic history, but they continue to gig and record, and are performing at several UK festivals this summer. After the Happy Mondays broke up, most expected Shaun Ryder to disappear into a life of drugs and debauchery, but he went on to top the charts with new band Black Grape a few years later. They are currently on a comeback tour with just a couple of dates left. Many wouldn’t necessarily describe the former lead singer of the Jam as Britpop, but his success during the 90s, and the fact almost every icon of the era has cited him as an inspiration, has ensured that he gets an honorary pass to the genre, whether he likes it or not. Anyway, fans should be pleased to know he will be playing several UK dates from mid-November. 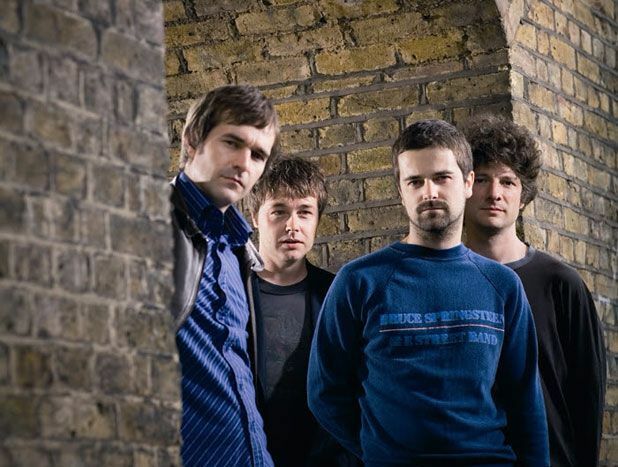 These Welsh psychedelic rockers are also difficult to strictly classify as Britpop, but the social commentary in their early albums has been likened to that of Blur and other giants of the genre. The experimental group are returning to the UK at the end of July to squeeze in a few more festivals. The Birmingham boys shot to fame with the release of Moseley Shoals in 1996 and ‘The Day We Caught the Train’ remains one of the most well-known songs of the 90s. Fans can catch the band at Y Festival, or see frontman Simon and drummer Oscar at intimate gigs from September onwards. Named after a town near Bristol, this band released their debut album Dummy to critical acclaim back in 1994, and the group are playing Latitude Festival this summer. Okay, so it's not quite Suede, but this talented duo, consisting of former Suede guitarist Bernard Butler and three-octave range singer David McAlmont, will be playing gigs across the UK in November. Jarvis Cocker’s mournful but quirky lyrics helped make this band one of the post popular at the tail-end of the 20th century. Despite not releasing anything together since 2013, we’re betting they can’t resist a reunion for too much longer. This immensely successful group would probably also feature on a list of the least likely bands to get back together, but we figure when one or both of the Gallagher brothers starts to run out of money, they will start playing some outrageously expensive (and likely volatile) gigs across the UK.